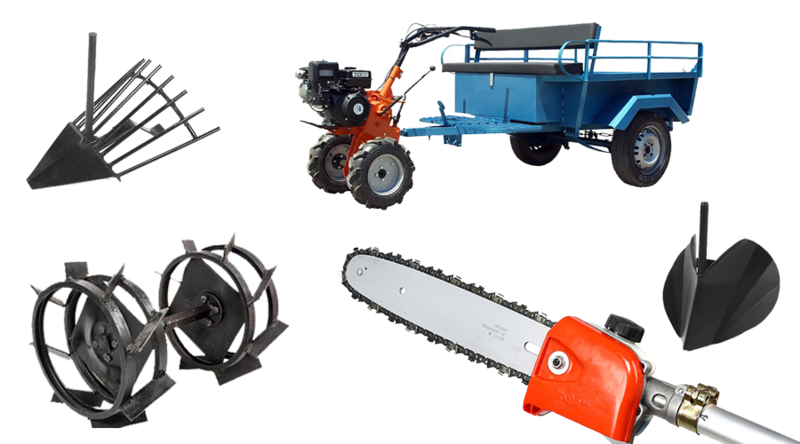 Our range of products come with expansion parts and attachments that provide additional uses of your current tools and equipment. 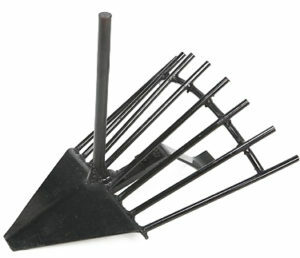 Ridging Plough Attachment for tillers. Easily extract potatoes from the ground. Weed Cutter attachment for tillers. Easily separate the fruit from the leaves. Our heavy-duty ridging plough attaches to our tillers, replacing the “leg” to evenly and easily create ridges as you steer the tiller across the field. 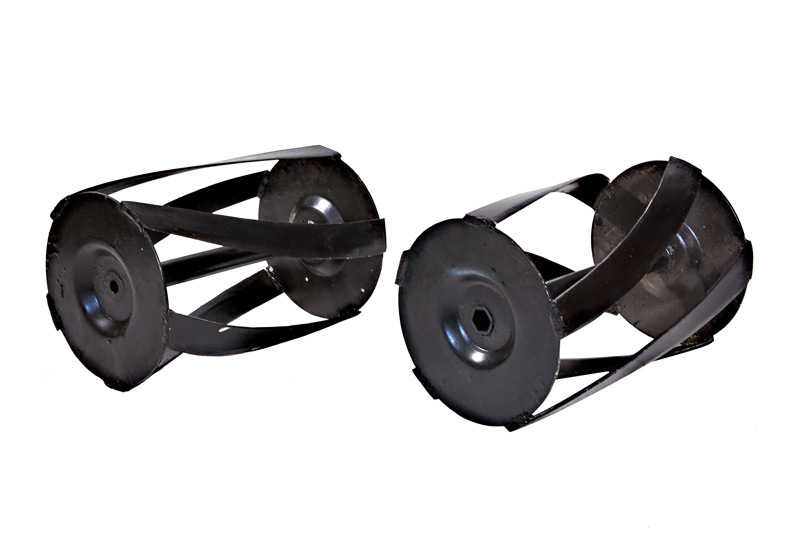 These metal wheels with gripping “teeth» replace the tiller wheels to stabilize the tiller when extracting potatoes and prevent it from skidding. 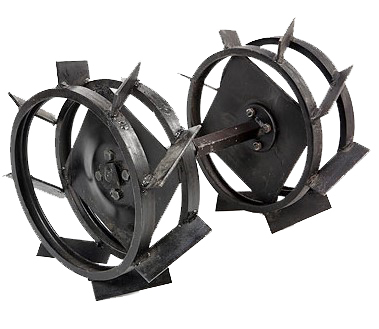 This pair of weedcutters replaces the wheels of the tiller. 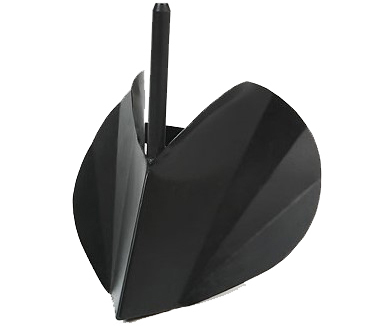 It cuts and destroys weeds completely, when they are still green and to a height of 40cm. When they are longer or dry it crumbles them and then the tiller destroys them completely without tangling in it. 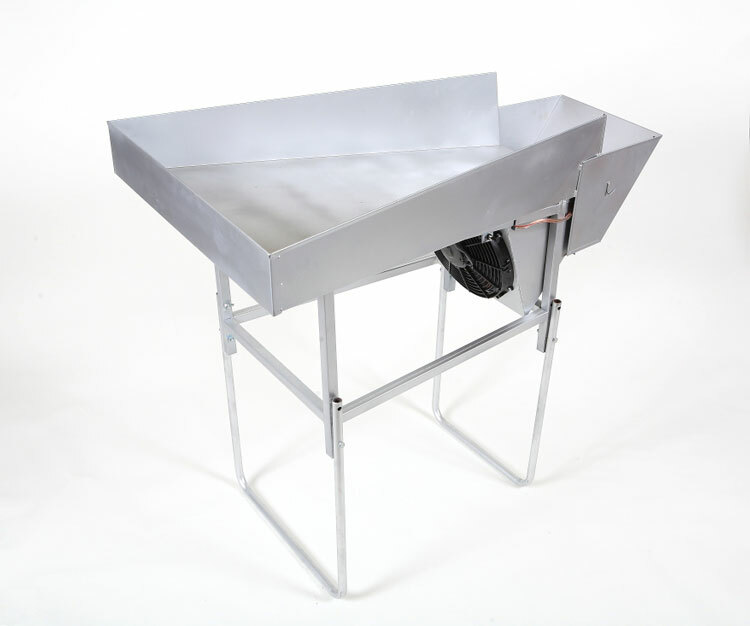 Our Leaf & olive fruit separator features a 12V air repeller. Lightweight for easy transport yet sturdy for heavy-duty use. 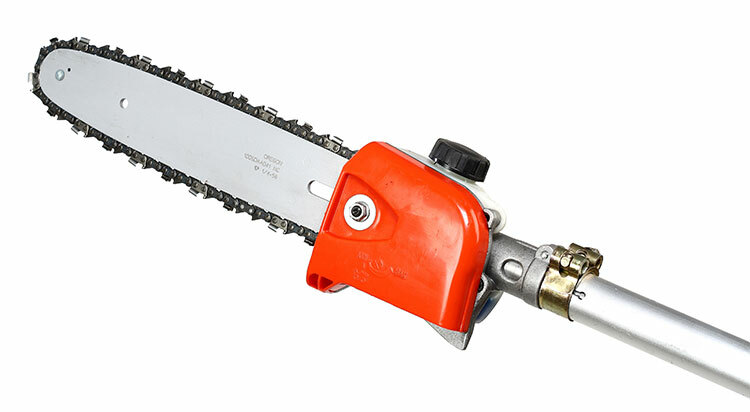 With a rod of a total length of 1,3 meters and weighing only 3,4 kilos our new Minos Sik 12V Chain-Saw will be your inseparable pruning partner! It features an oil pump attached to the head instead of natural oil flow to ensure absolute protection of the chain. Ideal for an easy-to-use pruning of all types. Operates with either a Minos Sik generator or a transformer. 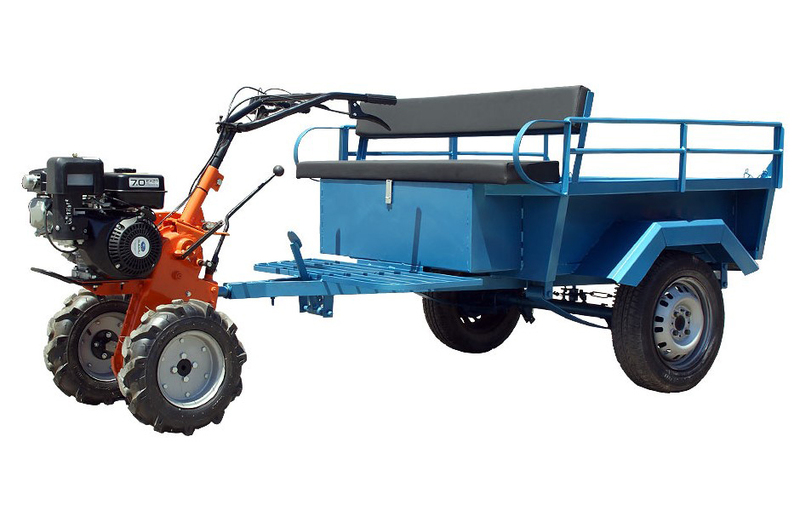 Our heavy duty, single-axle, two wheel tractor hauls a two wheel wagon that features a comfortable seat, toolbox and can carry up to 1000 kg. We have fitted a car differential, shock absorbers and a foot brake. 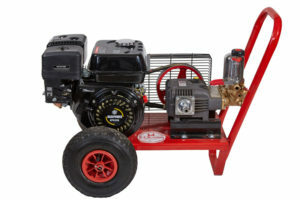 Our SIK KIRIAKAKIS Sprayer comes with two different engines and with a Spray Pump of 22Atm or 30Atm.